Kohinoor is a huge, colorful diamond found near Guntur in Andhra Pradesh, India, in the 13th century. Its weight is 793 carats (158.6 grams) and first it was in the Kingdom of Kattiya. In the last hundred years this diamond went to many people and finally went to Queen Victoria after the acquisition of the British in 1849 in 1849. In 1852 Queen Victoria's husband, Prince Albert, cut it and built 186 carats. Today, this piece is worn by Queen Victoria's crown, which enhances her crown. There have been many wars in history to get this hero too. Today this diamond is in the crown of Queen Victoria, many people watch this diamond every year in the Tower of London. India, Pakistan, Iran and Afghanistan have claimed to have their rights on this diamond several times and have also asked for it back. But the story is very popular with this diamond, but the British government has claimed that they have acquired this diamond legally. Certainly there is no historical paper on the origin of Kohinoor. According to some historians, it was a royal treasure of 3000 BC. It is said that in the 13th century Hindu Kachtia empire was extracted from the Kollur tunnel of Guntur district of Andhra Pradesh, India. In the beginning of the 14th century, Alauddin Khilji, the second ruler of the Turkish Khilji Empire of Delhi Sultanate, and his army started plundering South India. In 1310 Khilji's general owner Kafur conquered Warangal and successfully succeeded in getting the diamond. Then the Kohinoor diamond went to the Khilji Empire and later the Turkish Mughal ruler Babur took it, who attacked India in 1526 and established the Mughal Empire. At that time that diamond was also given the name "Babar's diamond", and as the diamond went to different rulers, its names changed too. In history, both Babar and his sons and Humayun had the authority over Kohinoor in their reign. Kohinoor diamond is considered the most precious and famous in the whole world, which is still not fully priced, but it is believed that there is a curse associated with it so that no survivors can survive this day. It is said that this diamond is cursed, due to which it goes to anyone who goes near it completely ruins it, many people, powerful royal family wanted to get it, but the person who went to it wasted and The name of this diamond is also associated with the decline of many historical monarchs. Many people call it Samyantak Mani and where it goes about, that God Sun was pleased with the austerity of its strong devotee 'Satragit' and gave it as a boon and this is considered to be the story of its origin and that is why its The cursed story begins. According to the Puranas, this diamond was lost from Satragat one day and its false accusation was found on Krishna, but Krishna found this diamond and gave it back to Satrajit, and Satraghat has been impressed by Shrikrishna, he has gifted him only, so why does he go? The story of this diamond started from false accusation on Sri Krishna and later, due to this diamond, destruction of Yaduvans also happened. After the destruction of the Yaduvans, this diamond was lost somewhere in history and no mention was made till the medieval period, but in 1306 an article was written, in which first this diamond was mentioned, according to this article, whoever keeps this diamond He will have to face the headlines, but the rulers of that time looted the talk but Kohinoor continued to show his effect. Yes, this is true, and you can not do anything to bring it back to India. 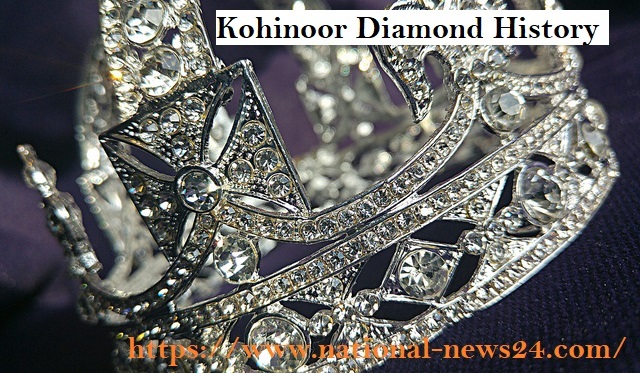 Whether you believe it or not, you can not believe that Kohinoor diamond is currently in the possession of the UK. According to the Hindu history written in 1306, Kohinoor's history was discovered at the same time. According to the documents written in Hindu history, this diamond could only be used by women, and no man was allowed to wear it. Because it was a curse that if a person adopts it, then he and his kingdom will collapse and in history we find it very strong. First Queen Victoria used it. It was later established in the crown of Queen Alexandra after the death of Queen Victoria. Queen Alexandra was the wife of the great King Edward VII, in 1902 this diamond was placed in her crown. In 1911 this diamond went to Queen Mary. 4. In fact Kohinoor was about 800 carats. That's right, the reason for this has decreased over time. Rather, many pieces of this diamond were also done, in history, this diamond was cut several times before going into the national treasury. In ancient times, this diamond was called the world's largest diamond. By the time Babar had not acquired his right over Kohinoor diamond, there were several wars to get this diamond in India. In 1526 Babar had won the battle of Panipat and after that Babur took Kohinoor. For 200 years, the Kohinoor diamond was in Babar's empire. Some people's groups discovered it in the southern part of the country. This area comes under the Golconda part of Andhra Pradesh state of India. Where was the ruler of the Kingdom of Kakatiya at that time. After Babar, this diamond went to the successors of the empire. But then later Persian Nadir Shah defeated Aurangzeb and acquired it. They called Kohinoor as Koh-i-Noor. 8. Malik Kafur Khilji got his proprietary claim in the 14th century. Yes, it happened, the governor general of the Khilji Empire had invaded the Indian southern region and successfully captured the Kohinoor diamond from the Kakatiya empire. 9. Duleep Singh himself handed over the Kohinoor diamond to the queen of the British Empire. It is said that at that time they did so after praying to the Indian Governor General Lord Dalhousie.